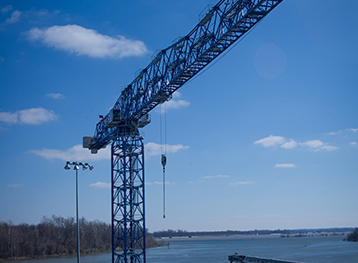 Aquarius Marine was the Prime Contractor for the construction of the marine substructure for a new tower crane for the Paducah-McCracken County Riverport Authority. 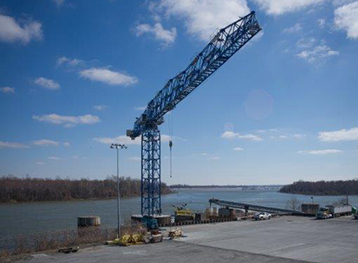 The work consisted of the construction of a 36’ diameter aggregate filled sheet pile cell with concrete cap and was constructed to support a new tower crane at the Paducah Riverport, on the Ohio River in Paducah, Kentucky. 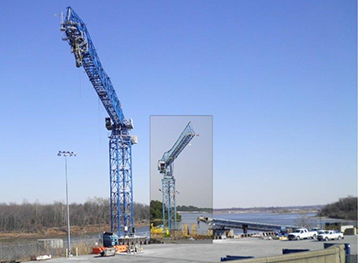 The new 53 ton tower crane, a Linden Comansa LC-30LC 1450, is said to be the largest flat top tower crane erected in North America and was constructed to help with increased traffic at the Riverport following the expansion of the Panama Canal. 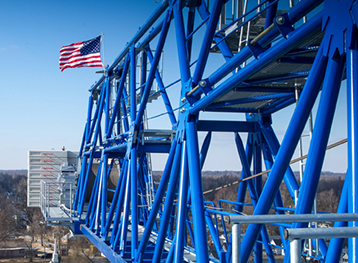 The sheet pile foundation was successfully completed on-time and within budget in less than 5-months.